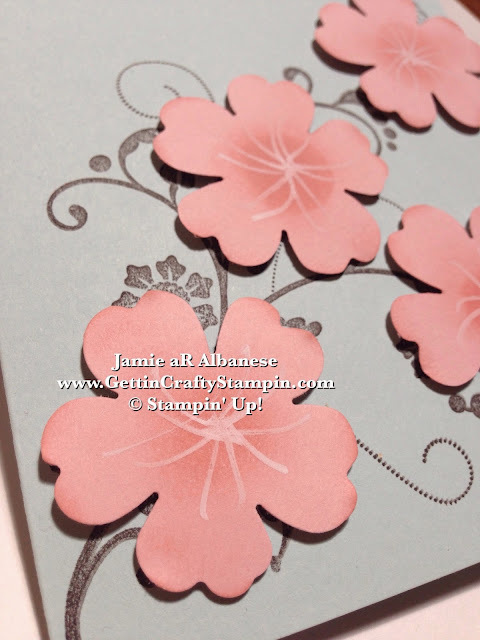 Gettin' Crafty Stampin' it's a dream come true! I love that I get to gather with some amazing women, create and stamp beautiful cards while having FUN!! So with this being the last day to RSVP for YOUR Spot at the Colorful WOW Card Class this Friday evening... so you don't miss out on the fun and crafting!! HERE is a Sneak Peak on the cards we will be creating.. With Four WOW cards that are packed with cool color combinations... you are sure to delight all who receive your hand-crafted hugs (because this is really what a card is - a hug). 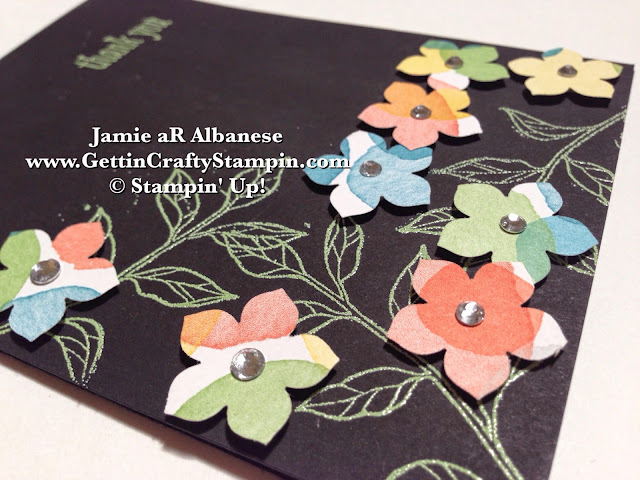 With this sharp black background, these colors POP and the Wild Wasabi embossing powder is retiring this month.. I love the look of it when it's on a sharp background that highlights the beauty of the sharp green. This also has a real 'chalkboard' feel to it, doesn't it?? Inspired by the beauty of the beach at sunset, this card is a deep look that is sure to be cherished! With a few techniques, this cool card comes to life and a sunset/rise is forever captured and sent to a loved one. 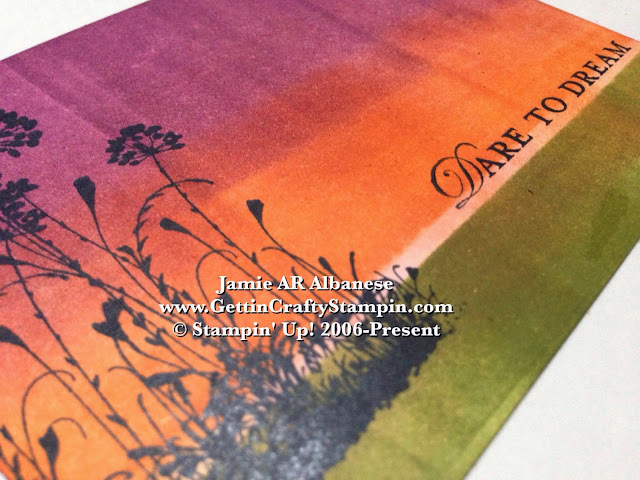 So JOIN ME - HURRY - RSVP TODAY for this cool class and bring home four stunning Colorful WOW Cards that are sure to delight (while we have a blast!). RSVP ASAP or call/text Jamie at (805)300-3679 ASAP to secure your spot!